Jefferson Park's rich history is documented in photographs archived at the Historical Society and the UofA special Collections. Stories and photos help us understand our path to today. Why is Jefferson Park an Historic District? The fifty-year mark is significant. In order to be named an historic district, over 50% of the homes must be fifty years or older and have facades that have not been significantly altered. Jefferson Park Neighborhood meets those criteria. 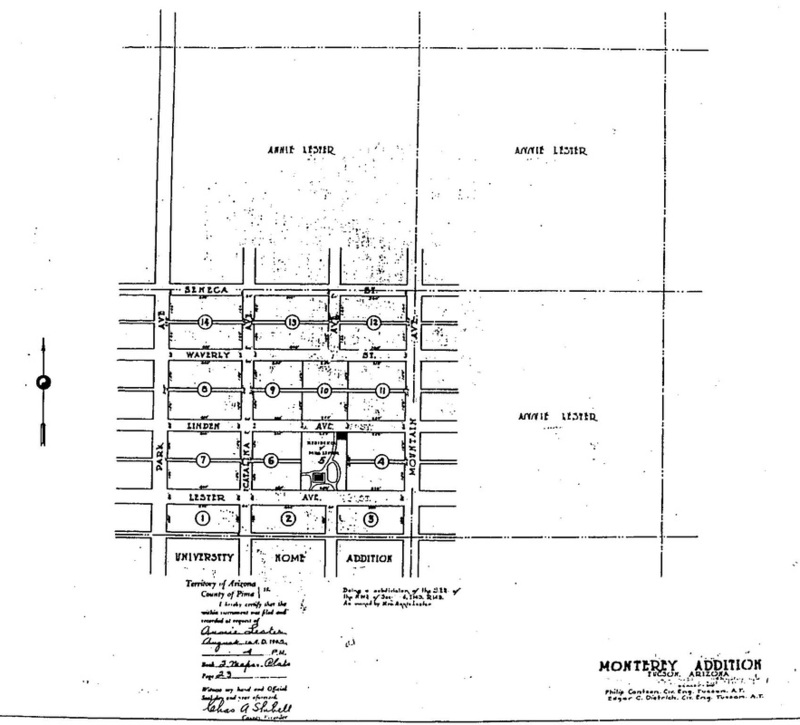 Jefferson Park represents two distinct building periods – pre World War II and post-World War II. 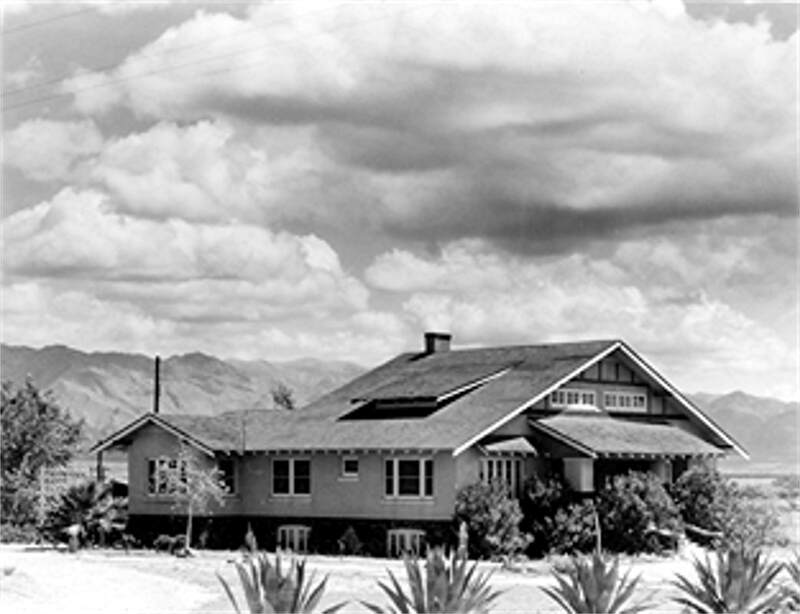 During the initial development of the neighborhood, 1898-1945, the homes reflected a variety of architectural styles including Bungalow, Spanish Colonial Revival, Pueblo Revival, Southwest and National Folk. 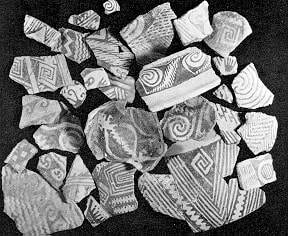 prepared by Scott Solliday, Archaeological Consulting Services, Inc., 2009. 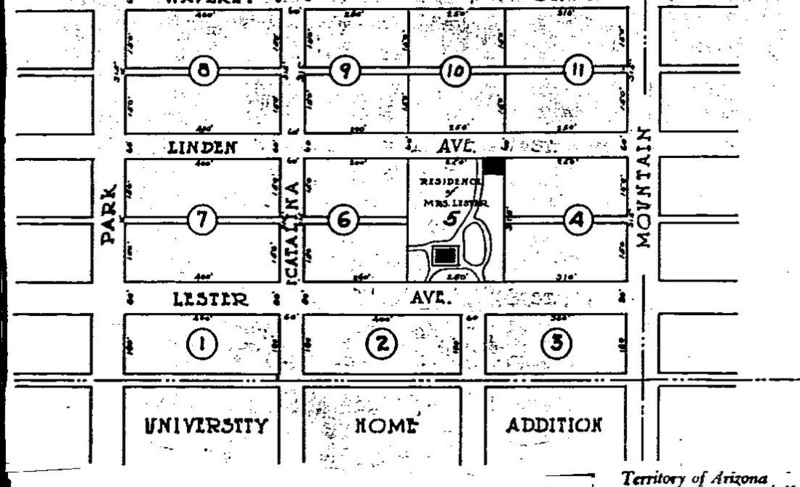 In 1898, a twenty-six year-old German-born woman named Anna Stattelman made claim to the 158-acre tract of land encompassing Park Avenue toward Campbell, from Lester Street north to Grant. 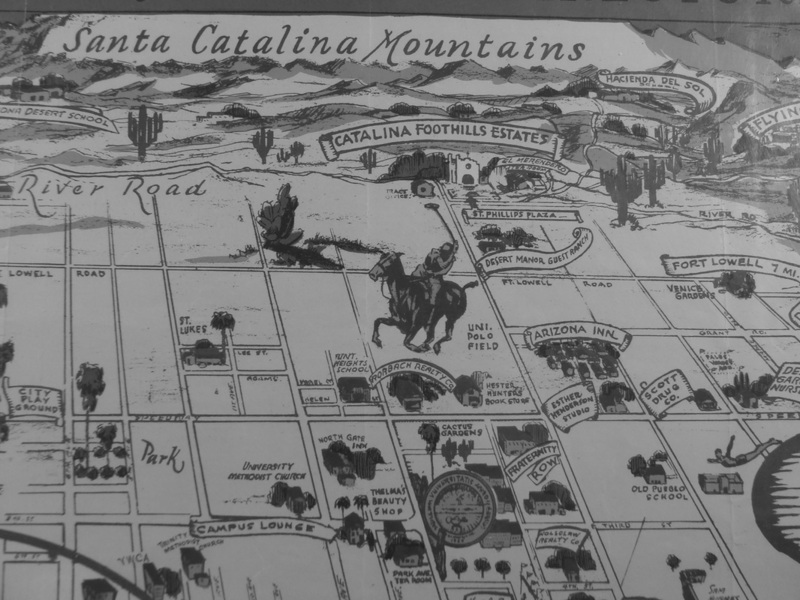 According to the official homestead documentation, Anna testified to the primary residence being “32’ x 32’, plus five chicken houses and a barn, with 10 acres fenced, a well, windmill, tank and other small buildings.” That residence was located in the area of Santa Rita and Linden. 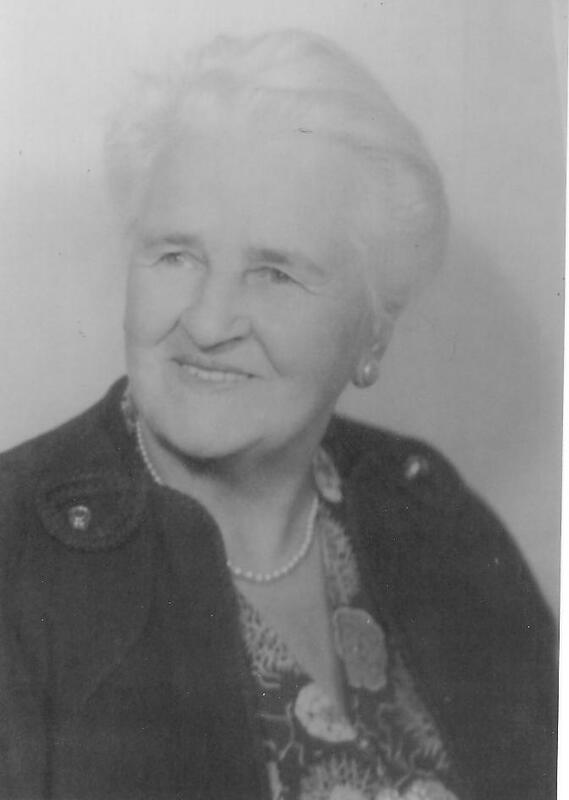 In 1899, she married Frank Lester, who was the superintendent of Mammoth Mines. Anna rode in the wagons that traveled back and forth from the mines sometimes carrying gold. 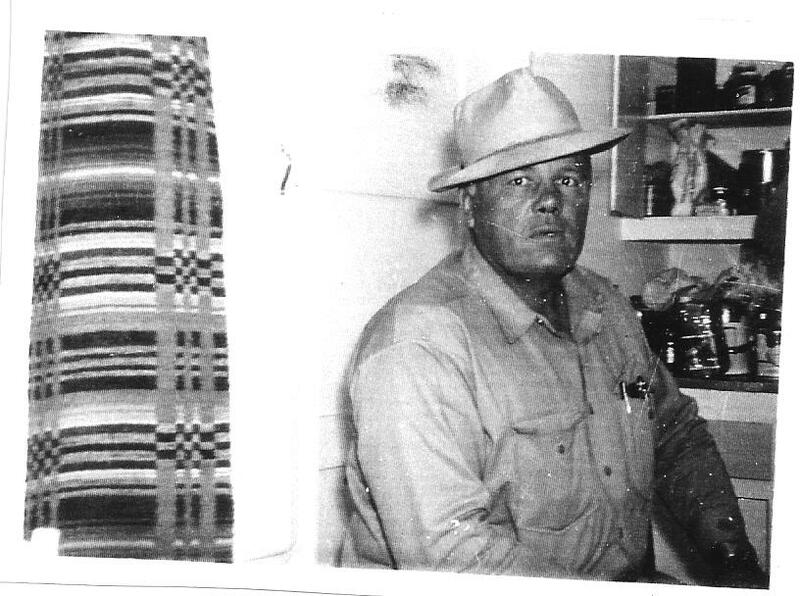 Anna also owned “320 acres at Cortaro, 160 acres near Mission-Black Hills property at River Road.” The picture above was taken at Cortaro in 1945. Excerpted from the “Jefferson Park Neighborhood’s 100th Birthday Celebration” pamphlet, Oct 17, 1998.. Her homes on Lester are all of the craftsman bungalow architectural style. 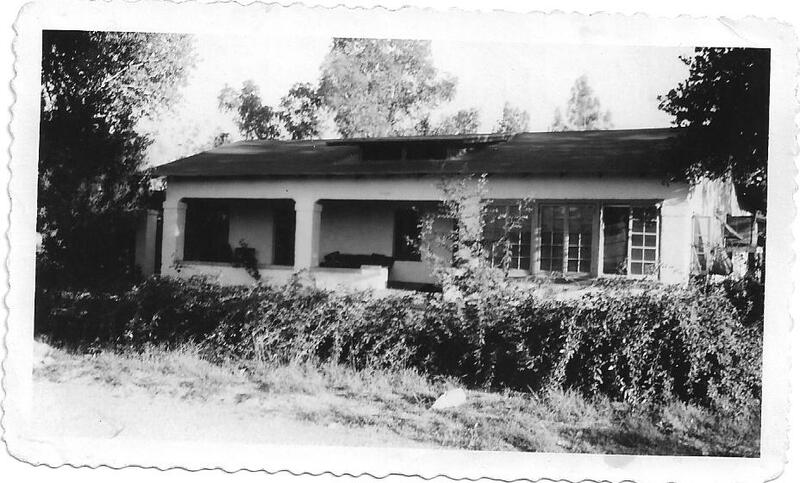 “Bungalow” is an East Indian word meaning “small house”. The craftsman is a type of bungalow. 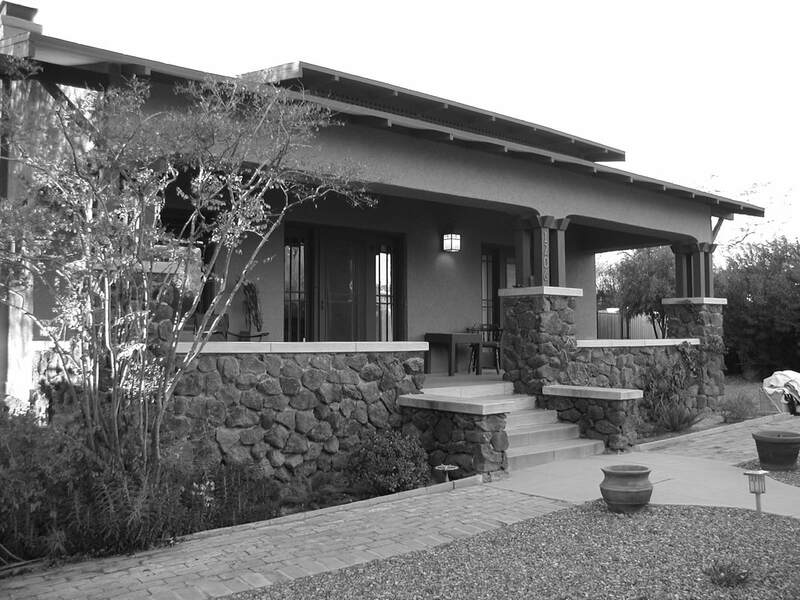 Some bungalow style homes were brought to Tucson in the 1920’s by rail as Sears packages. 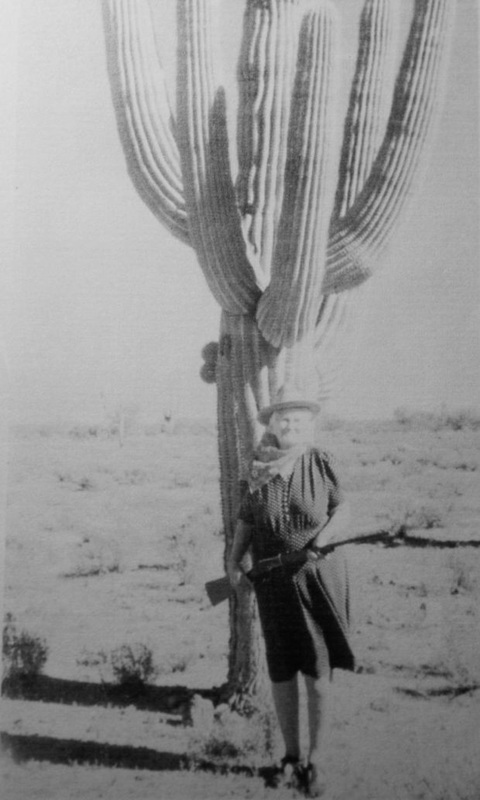 Materials were cheap at the time and the railroad could bring materials from Sears to Tucson warehouses economically. The Lester homes are definitely not a Sears package house. They are too big. 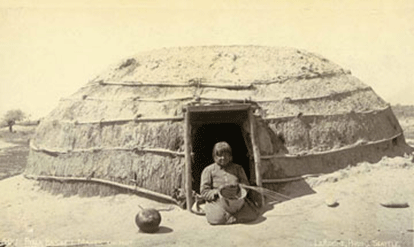 The earliest were built with the help of the Pima and Tohono O'odham carpenters. The foundations were crated from the volcanic rock taken from what is now "A" mountain. ANNA STATTLEMAN, later to marry and become Anna Lester, also named many of the streets. Of course, she named Lester. But other streets in the neighborhood were also named by her: Linden – an ornamental tree common in Germany, where Anna Lester was born; Seneca – small multi-trunked tree native to Japan; Waverly – another name for quaking aspen, one specie of which is common in Germany; Pine Avenue – subsequently renamed Warren (We are still researching that one); Maple Avenue – subsequently renamed Martin (Still to be researched) and Walnut – subsequently renamed to Cherry. Finally Oak – renamed for John H. Campbell one of the last Justices in the AZ Territory. If you have information or photos to share, or if you know a long-time resident who should be interviewed, please call Suzanne 740-0757. The committee welcomes new members! 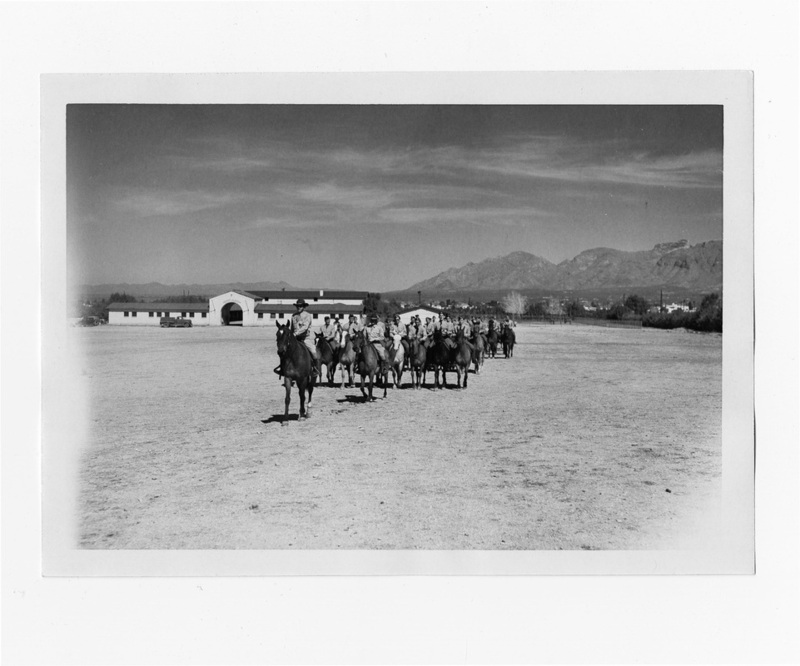 Polo was brought in to the Arizona territory by the US Calvary units. 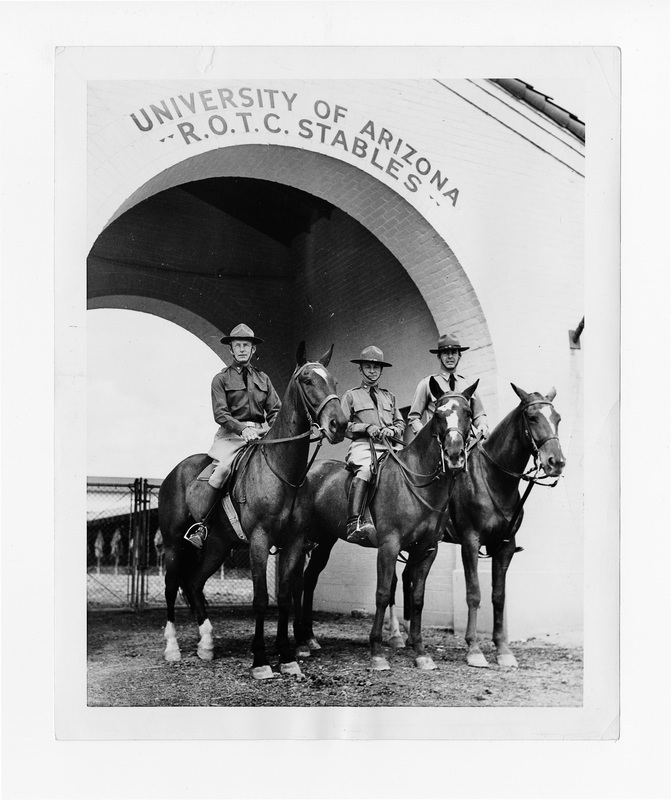 And, until the start of World War II it was kept alive at the U of A Calvary ROTC program. 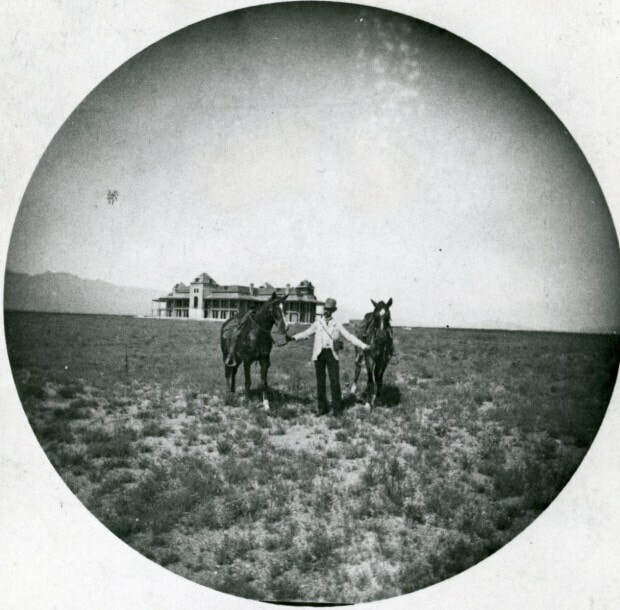 Important polo fields were located just north and east of what is now Jefferson Park. To the east Leighton Kramer build a polo field (Catalina Field) east of Campbell north of Elm. 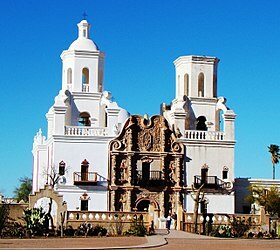 It had stands to hold 1000 people and in 1925 was the site of the first “La Fiesta de Los Vaqueros”. To the north were located the U of A polo fields that are shown in the accompanying photographs. The U of A polo team became quite a powerhouse. It was the first sport to bring national recognition to the U of A. The 1924 team captured the Western Collegiate Championship and traveled to the east coast to present U.S. President Calvin Coolidge with a cowboy hat. In May 1931 Will Rogers, a polo enthusiast, did a benefit performance at the Fox Theater to raise money to send the U of A team to play Yale. 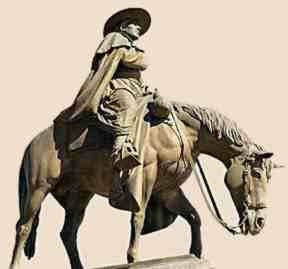 The university earned the nickname “the college on horseback”. The team played such important teams as Princeton, the Army, Oklahoma, and New Mexico. December 7, 1941 players were getting ready for a game when the terrible news blared from the radio—Pearl Harbor had been bombed. Boys went off to join a mechanized army no longer relying on horses. This was the end of polo at the U of A. 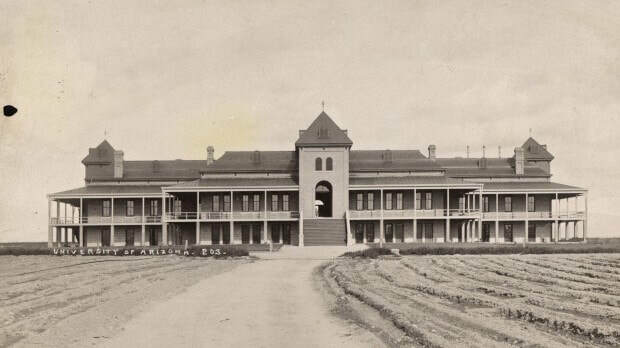 By 1944, eighty head of the horses at the U of A had been sold off.